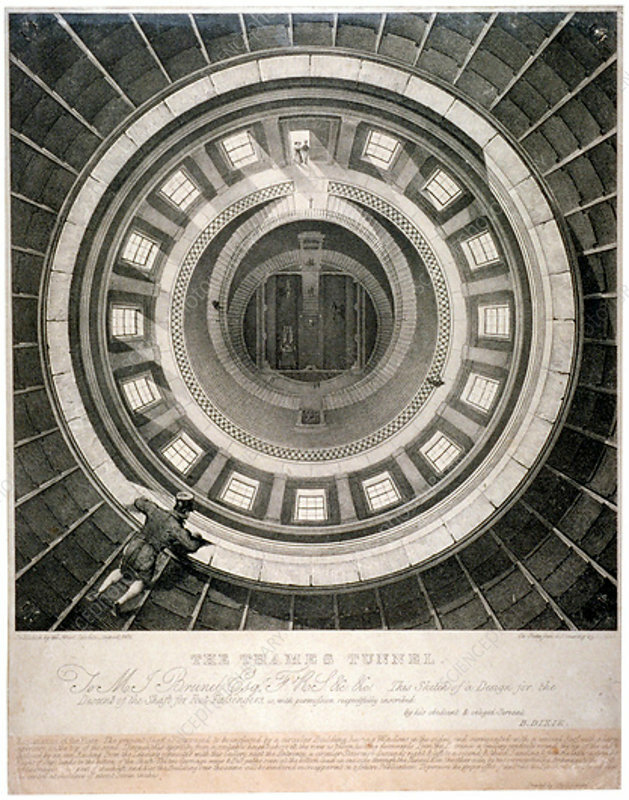 Shaft for descent to the entrance of the Thames Tunnel (view from the top), London, 1831. The Thames Tunnel, connecting Wapping and Rotherhithe, was the first underwater tunnel in the world. Completed as a foot tunnel in 1843, it was converted to a railway tunnel for the East London Railway in the 1860s. Sir Marc Isambard Brunel designed the tunnel, and his son, Isambard Kingdom Brunel, was site engineer.